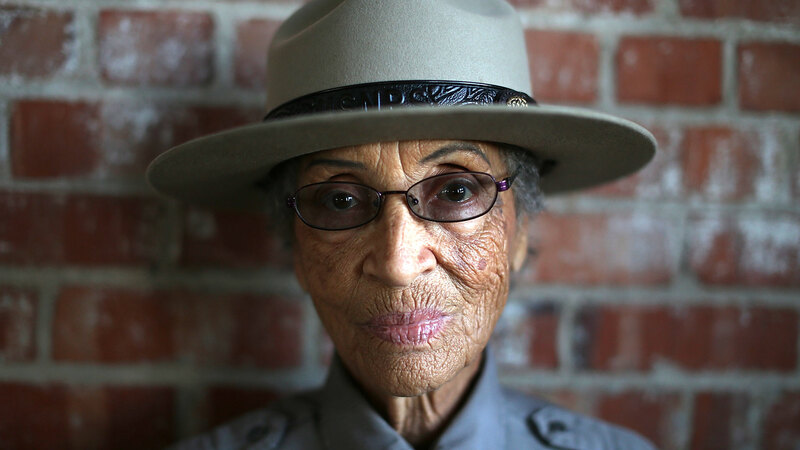 At age 94, Betty Reid Soskin – the US’ oldest National Park ranger – relishes telling her story about serving as part of living history. And no, she is not Rosie the Riveter. “Rosie was a white woman's story as far as I was concerned,” said 94-year-old Betty Reid Soskin. Wearing a khaki ranger’s uniform, Soskin was speaking to a rapt audience during one of her thrice-weekly presentations at Rosie the Riveter World War II Home Front National Historical Park in Richmond, California. True, she went on, African American women were eventually hired to work in the round-the-clock shipyards that this urban park commemorates – once the supply of white men and women and black men was exhausted. But Betty Reid Soskin never saw a rivet, or a ship for that matter. Her view of the home front boom town was from a window in a black-only union hall, where she spent her days filling out three-by-five-inch personnel cards. “That's what I was doing to save the world for democracy. As you can see it worked!” said Soskin as she paused for her audience to finish laughing. Her nutmeg-coloured skin was wrinkled and her failing vision recently forced her to stop driving, but the nation’s oldest working National Park ranger retains a youthful vivacity and wit. Soskin relishes telling her story, serving as a living part of this place that looks no more like a national park than she looks like a park ranger. Established in 2000, as a national historical site in partnership with the National Park Service, the park tells a story of a number of locations throughout Richmond, including a childcare centre where children played while their mothers – the female war workers commemorated by Norman Rockwell and in song as Rosie the Riveter – built ships. The visitor centre sits on the shore of glittering San Francisco Bay, on the grounds of legendary American industrialist Henry Kaiser’s Richmond Shipyard No 2, housed in a part of the Ford Assembly Building that cranked out 140,000 military vehicles during the war. Just across a channel is the last surviving Kaiser Shipyard, No 3, and the SS Red Oak Victory, one of the 747 vessels that these shipyards produced at record speed. The exhibits inside illustrate Richmond’s transformation from a hamlet of 24,000 to a 100,000-strong war production juggernaut – without the red-white-and-blue sugar coating. Yes, there are propaganda posters showing lipsticked, kerchiefed “Rosies” doing a man’s job for their country. But there are also panels on the housing discrimination faced by the thousands of black workers that Henry Kaiser recruited, and on the tragedy of Japanese internment during the war. There are programs on the Port Chicago disaster: a munitions explosion that killed hundreds of mostly African-American sailors and resulted in a so-called mutiny that Soskin connects to the Civil Rights movement decades later. Soskin doesn’t know how much credit she can take for the museum's nuance and inclusiveness. She only knows that she was the only person of colour at the park planning meetings in the late 1990s. “I'm the only person in the room who can look at the scattered [wartime production] sites and instantly recognize them as sites of racial segregation. Because what gets remembered is determined by who’s in the room doing the remembering,” she told her audience. She sat, straight-spined, on a tall backless stool, drawing connections between historical eras with a perspective from not only her own nine decades of life but also from the long lives of relatives, including her great-grandmother, who was born a slave and survived until 1948. Soskin’s WWII memories include watching trains packed with thousands of workers from the economically depressed South roll past her Berkeley home. The influx of outsiders overwhelmed the small black community in the East Bay. For Soskin, the war effort wasn’t a first opportunity to work outside the home – black women had done that since slavery. And she doesn’t remember it as an inspirational time of everyone pulling together regardless of race. At that time, I wasn't sure who the enemy was. Instead, the war years were the first time she came face-to-face with segregation. “If I were in the South, I would have known that that drinking fountain was for you and this one is for me,” she said in an interview in the visitor centre’s small ranger office. There were so few blacks in Northern California before the war that segregation was not obvious to her as a child. That all changed when Soskin was dismissed from a job in an Air Force office when the supervisor found out she was “coloured”. Her husband, Mel Reid, quit the Navy when told he would be relegated to food service. These incidents left a 20-year-old Soskin feeling confused about how she fit into the paroxysms of patriotism around her. “At that time, I wasn't sure who the enemy was,” she said. But serving here as a park ranger, a job Soskin took at age 85, has broadened her view of those years and of a country that she finally feels proud to represent. Three years ago, she began addressing new US citizens at an annual Naturalization Day. “I am inviting them into my country. I don't think that 20-year-old could have done it,” she said. The change in perspective happened gradually. For instance, there’s the short film she shows each group before she speaks. She used to hate it, especially the part where a white “Rosie”, praises the war effort as a great coming together of Americans. For as long as she can – and she hopes to keep going for at least another decade – Soskin wants to continue her role in making the National Historic Park that place. View image of Soskin answers questions about living and working in the area during WWII.